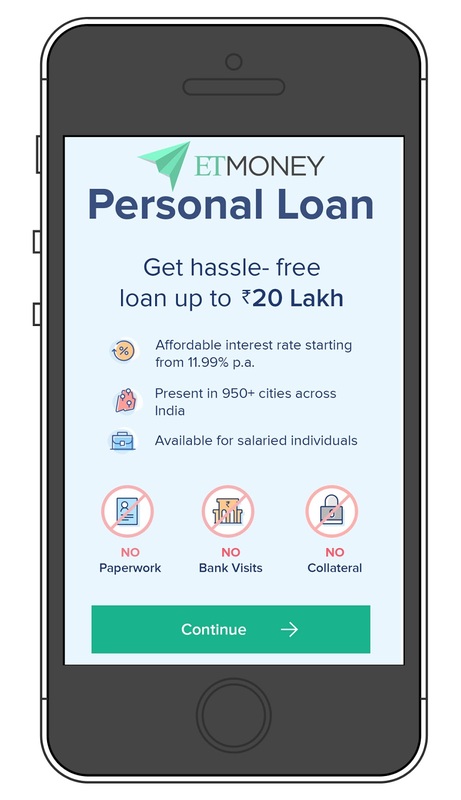 ETMONEY, a Times Internet-backed fintech company, announced its partnership with Fullerton India Credit Company Limited (Fullerton India), a leading non-banking financial company with a strong pan-India presence, to offer Personal Loans up to Rs. 20 lakh in a hassle-free manner with minimal documentation. “ETMONEY has grown into one of the largest integrated financial services mobile platform for millennial India, having grown 15x in the last 18 months. We are combining our reach, technology& data science capabilities with Fullerton India’s lending prowess to change the way millennials borrow for large ticket finance needs. This partnership should take our annualised loan disbursal to more than Rs. 600 crores”, says Mukesh P Kalra, CEO, ETMONEY. “Large ticket unsecured loans have traditionally been document intensive and full of inefficiencies. Consequently, a segment of millennial users looking for large ticket loans at lightning fast speed is largely untapped and underserved until now. We are excited to partner with Fullerton India to remove these inefficiencies and provide a seamless borrowing experience to our users”, says Manav Seth, Business Head - Lending, ETMONEY. Available for both Android & iOS users, the app can be downloaded here.